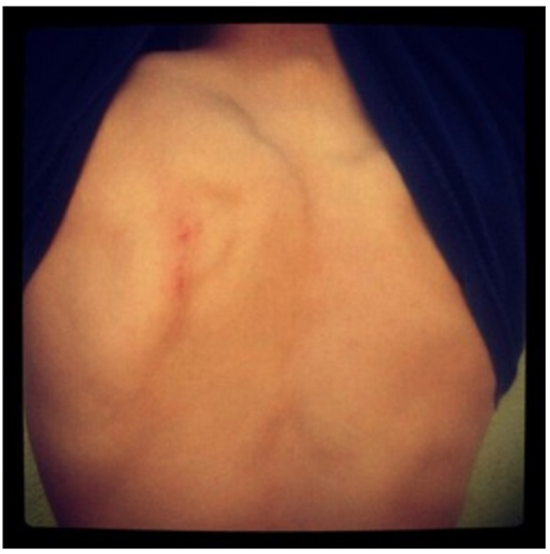 Fans scratched up Harry Styles’ back with their nails..
– One Direction’s Harry Styles uploaded a new picture to his instagram adding “A few of our girls need to cut their nails”. Ouch that look like it hurt a lot. This entry was posted in one direction, Uncategorized and tagged Fans scratched up Harry Style's back with their nails... Bookmark the permalink. What is his Instagram user name? Awwww 😦 what’s his instagram name?